Pakaflex now does photographic print! This year we installed a very wide width large format 8 colour photographic printing press. In fact we are one of only a few companies - in the world - that can print 1600mm wide with up to a 1200mm repeat. Combined with our long experience in UV resistant films and inks means we are perfectly enabled to provide our affordable quality mantra to the Cane Mulch and Potting Mix markets. EnduratuffTM is now available with breathable strips. This innovation keeps your timber drier by acting like a one way valve - letting water vapour out, but not letting water droplets in! Broad range of Detectable Stainless Steel wire warning tapes now available. Along with our easy to handle 150mm X 500m length reels of SS wire detectable tapes we have now added 100mm wide X 250m detectable tapes for a wide range of services inclusing gas, water, fire mains, recycled water and sewers. If you do need to join it we now have special crimps and tools to ensure good electrical continuity. See how we can make savings for you! Pakaflex is an Australian owned and operated manufacturing company specialising in a range of UV resistant and industrial packaging products. 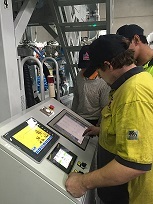 Our focus is on innovation and service to meet the ever increasing market demands for our specialist solutions for customers throughout Australia and New Zealand. Whatever the your needs, you can be sure that Pakaflex will provide the service, innovation and savings to keep you coming back. Operating since 1989 were are committed to creating partnerships so that we can deliver the cost benefits of tailored solutions to our customers. Australia's fastest growing packaging company? Thanks to the ongoing support of our partners (both our customers and suppliers) Pakaflex has maintained a > 30% per annum growth rate since moving to our new factory in Dandenong nearly four years ago. With multiple new coextrusion lines we have grown to have the flexibility and quality to be at the forefront of the industry. The newest multi-layer machine yet has improved productivity and we have been working to improve all our processes throughout the business - to ensure we never forget just how important our partners are - and deliver industry best service and support! This has been cemented into place with our endoresement to the ISO9001:2015 Quality Standard. January 2019 - Rob Mackay joins the team! We are pleased to have oiur new Account Manager, Rob Mackay in the team! Rob will be working in our timber and industrial markets nationally - assisiting or Sales Manager (Adrian StJohn) in ensuring we maintain the best possible customer support. In line with our market focus on UV resistant products, we recently installed a brand new 1600mm wide multi-colour printer. This means we are one of only a few companies that can do this, and combine it with registered print repeats up to 1200mm. This is ideal for compressed baled products like chaff and mulch. If you have a big format print requirement and want better value, better lead-times and better film properties then contact us! July 2017 - Pakaflex (NZ) Ltd established! We are pleased to announce the establishment of Pakaflex (NZ) ltd which makes it easier for our many New Zealand customers to use our products. Having an Inland Revenue GST registration means purchasing from Pakaflex is easier than ever as GST is now all in the one bill and there is also no need for an international funds transfer. This continues our commitment to being the best timber wrap supplier in New Zealand! July 2016 - Our largest coextruder yet! July 2016 saw the commissioning of our latest coextrusion machine (C4). Complete with a new wide width printing unit, C4 targets our long life outdoor products. The latest extrusion technology, automatic gauge control and polymer feeding/blending systems - which are all state of the art - provide more consistent and cost-effective products than ever before. 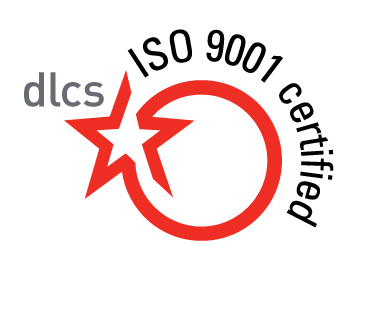 Pakaflex has attained certification to the latest ISO9001:2015 Quality Management standard. We are proud to be one of the first companies to achieve this latest benchmark and believe it shows our commitment to delivering affordable quality to our customers.